Personalized Baby Shower Invitations | Reflect Your Unique Style! Have you ever seen an adorable greeting card design and said "Hey, that would make a cute baby shower invite!" The great news is that you can take affordable existing designs and personalize them to reflect your own unique style! Turn Seasonal & Special Event Designs Into Baby Shower Invites! First, go to the Seasonal Cards & Invitations and choose a style you like. Change the heading, wording and font to fit each block and create your own Unique Baby Shower Invitations. Seasonal Invites are perfect for planning a baby shower any special time of the year! Tip: Photo Birth Announcements also make adorable invitation designs. Just use an ultrasound image! With a little extra effort you can create baby shower invitations that are Very Cool! We created the example above using the "Summer Splash" card design, under the "Holiday" selections at Summer Party Invitations. If you need some help, just Contact Us! This creative personalization is perfect for any of the Holiday Baby Showers in our Unique Baby Shower Themes. Winter, Spring, Summer or Fall ... we have great baby shower ideas for all of the holidays each season! 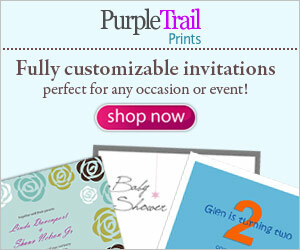 Baby Shower Invitations Personalized per your order ... order photo baby shower invitations. Use a beautiful image of the glowing Mom-To-Be ... an image of Mom and Dad-To-Be ... having a "Sprinkle"? Include an image of the new baby's siblings! 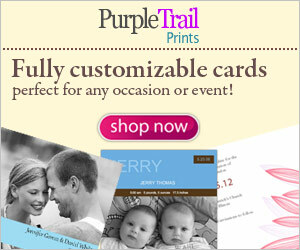 Or select from the wide variety of Unique Baby Shower Invitations available and personalize them any way you want!